Trigger for writing this particular Blog post is, Open Heart Interview given in Telugu Language, given by Shri V.V. Lakshmi Narayana,Former Joint Director, CBI, to Shri V. Radhakrishna, Chief Editor of Andhrajyothy. Link to the OpenHeart Interview, for those who wish to study it: Click here to go to http://www.andhrajyothy.com/pages/openheartarticle?SID=663243. I have already covered this subject matter elaborately in Musings posted by me at Click here if you wish to read it in depth. In my blogpost, I referred to the fondness of Shri Lakshminarayana to Swami Vivekananda, and RSS. I have also compared his fondness for Swami Vivekananda to a similar fondness shown by Shri Narendra Modi 2014-18 Prime Minister of India. I have also expressed my personal feeling (which I did/do not intend to impose on others) that both Shri Lakshmi Narayana and Shri Narendra Modi might not have read the Complete Works of Swami Vivekananda. ఆర్కే: మీ లక్ష్యం ఏమిటి? లక్ష్మీనారాయణ: సావర్కర్‌ గురించి చెబుతుంటా.. మనం పుడతాం. ఈ దేహాన్ని సంతరించుకుంటాం. చనిపోయినప్పుడు దేవుడి దగ్గరికెళ్లామంటారు. ఈ దేహం దేవుడి దగ్గరకు వెళ్లిపోవడానికి మధ్య దేశం ఉంటుంది. కాబట్టి ఆ దేశాన్ని గురించి ఏమైనా ఆలోచించమనేది ఆయన మాటలు. దానికి చాలా ప్రభావితమయ్యాను. కలాం గారితో ఉన్న పరిచయం ప్రభావం కూడా ఉంది. మనం కూడా వెళ్లిపోయేముందు గుర్తుండేలా ఏమైనా చేయగలమా అన్నది ఒక సంకల్పం. Approx. English equivalent: RK (Editor): What is your aim/goal? Sent to the notorious Cellular Jail in the Andamans in 1911 for his revolutionary activity, Savarkar first petitioned the British for early release within months of beginning his 50 year sentence. Then again in 1913 and several times till he was finally transferred to a mainland prison in 1921 before his final release in 1924. The burden of his petitions: let me go and I will give up the fight for independence and be loyal to the colonial government. 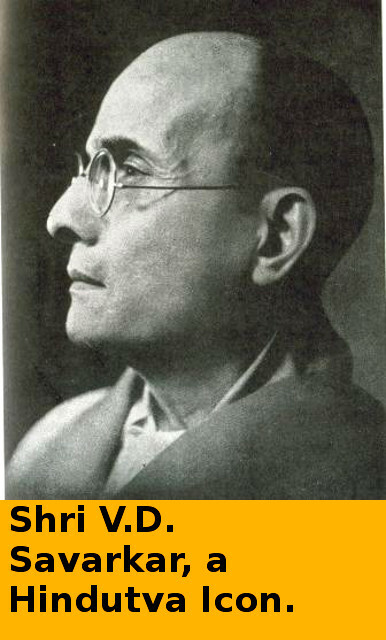 Savarkar’s defenders insist his promises were a tactical ploy; but his critics say they were not, and that he stayed true to his promise after leaving the Andamans by staying away from the freedom struggle and actually helping the British with his divisive theory of ‘Hindutva’, which was another form of the Muslim League’s Two Nation theory. బీజేపీ నేత మాధవ్‌: పదవీ విరమణ చేసి మీరు సామాజిక, రాజకీయ రంగంలోకి రావాలని నిర్ణయించడం చాలా సంతోషం. మా పార్టీలోకి రావాలని ఆహ్వానిస్తున్నాం. మాధవ్‌గారు నాకు పరిచయం. గుడిలోవలోని స్కూల్‌లో వీళ్లంతా విద్యార్థులు. వీరంతా కలిసి వాళ్ల టీచర్లకు క్వార్టర్స్‌ కట్టించారు. వాటి ప్రారంభోత్సవానికి నేను వెళ్లాను. ఆ విధంగా నాకు మాధవ్‌గారు పరిచయం. Approx. English: BJP Leader Madhav: Very happy that you have chosen to retire, and decidedd to enter into social and political fields. We are inviting you into our party. Shri Madhav is known to me. All these are students in Gudilova school. All these (students) built quarters for their teachers. I went for their inauguration. In that way, I know Shri Madhav. Now, that the Invitation to join BJP is clear, and inasmuch as the ideological thinking of BJP and Shri Lakshmi Narayana tally, any logical person may expect Shri Lakshmi Narayana to join BJP. On 27th March 2018, in my above blog post, I anticipated it. In my earlier blog posts also at the problemsoftelugus.blogspot.com, I was predicting this. But there seem to be some difficulties: 1. 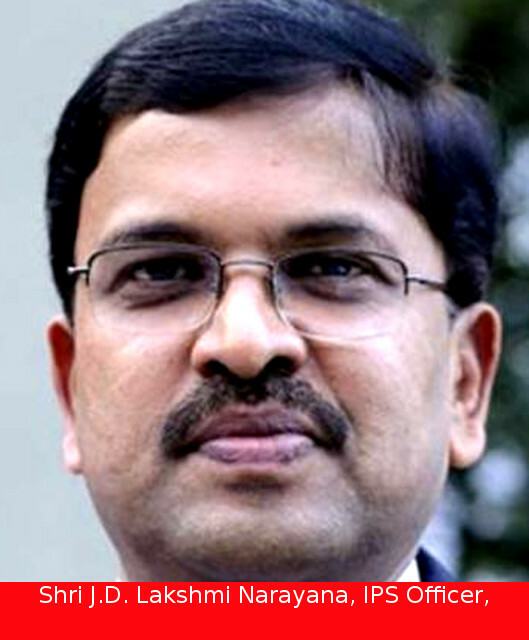 Shri Lakshmi Narayana wants to become an Agriculture/Rural Development Minister. If this expectation is to become a State Level Agriculture Minister, the prospects of BJP and Shri Lakshmi Narayana getting elected to State Assemblies are very bleak. For that he has to join TDP (ysrcp ruled out because while he was in CBI, he investigated cases against Shri Y.S. Jaganmohan Reddy, with missionary zeal.). Alternatively, he has to become a Central Agricultural Minister. For that, Mr. Narendra Modi and BJP have to win 2019 Lok Sabha Elections, which may not be easy as per present Surveys. The position has to change by May 2019. Right now, Mr. Lakshmi Narayana can wait for the Results of Assembly Elections in Rajasthan, Madhya Pradesh, Chattisgadh which will decide the future of BJP and Shri Narendra Modi. To continue adding / deleting / modifying to correct errors of all types.